But, seriously, I know that a lot of people struggle with Seasonal Affective Disorder (or more aptly referred to as “SAD”). I do, too. I mean, sure, I try to tell myself things like, “The trees look so pretty all covered in ice!” or “Another snow day means I get to spend more time connecting with the kids!” And those things are true and they even work to cheer me up for a while. But, at this point, I am just done. with. winter. Okay, now that I’ve gotten that out of my system. Moving on! And since winter is certainly not done with us just yet, we all need to find ways to keep looking on the bright side! I’ve started thinking of wintertime as a hibernation period for myself. A time of year where I allow myself to sleep more, slow down, do less, read more, and eat lots of comforting food. Warmer, flavorful meals that fill your body up and leave you feeling better about life. Sometimes, this is in the form of a dessert. But, more often, it is in the form of a soup or stew or – my new favorite this winter – a curry dish. If you’ve been following me on Instagram, you’ll know that I’ve been trying out lots of curry dishes this year! Today I am sharing two comfort food recipes that I hope will help you (and me!) get through the next 6 weeks of winter. The first recipe is for a slow cooker butternut squash soup. 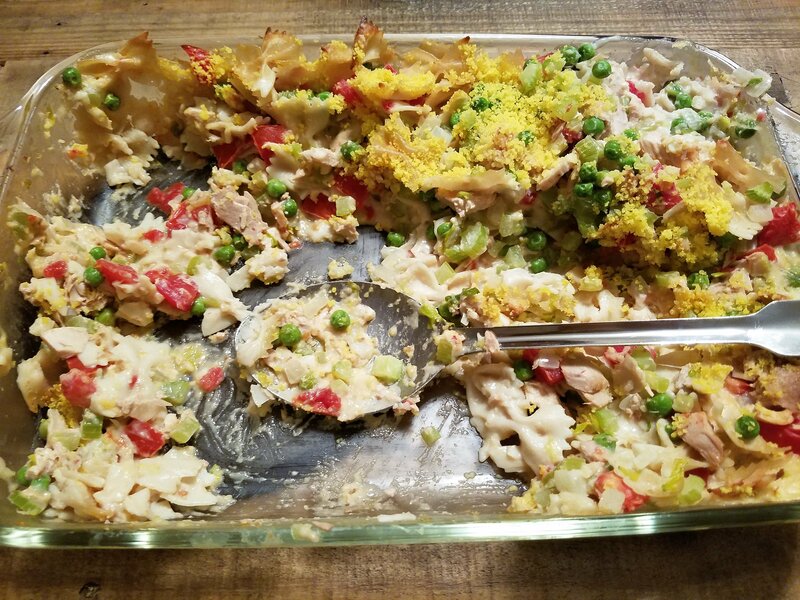 I made this recipe over the holidays when our family was all in town visiting and came over to our house for dinner and a gift exchange. I have a serious case of FOMO (Fear Of Missing Out) when it comes to parties and gatherings so I love to choose slow cooker recipes that can be prepared earlier that morning or even the night before. That way, when the guests are mingling and talking and laughing, I can be right there with them instead of being stuck in front of the stove stirring a pot or putting the finishing touches on a fancy dish. For this particular recipe, you can peel and chop the ingredients up to a day ahead of time and put them right in the crockpot to store in your fridge overnight. In the morning, just add the liquids, pop the crockpot insert into your slow cooker and turn it on. Even if you’re not entertaining, this is a great way to have a warm, comforting soup ready for you when you get home from work on a cold, winter weeknight! If you’ve never prepared a butternut squash before, or just wondered if there is a “right” way to do it – there’s not. But here is how I like to break it down when I need a peeled and cubed butternut squash for a recipe. 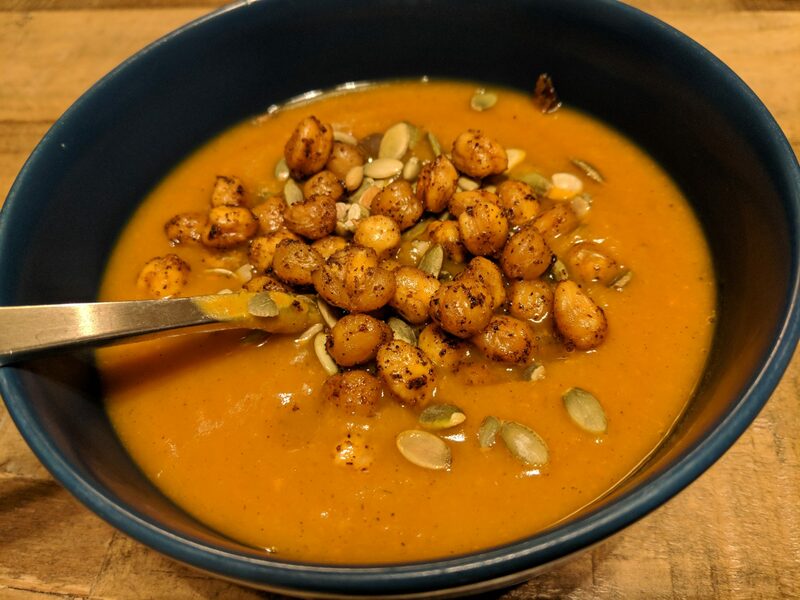 If you do end up trying this butternut squash soup recipe, I highly recommend topping it with these chickpea “croutons” from My New Roots. 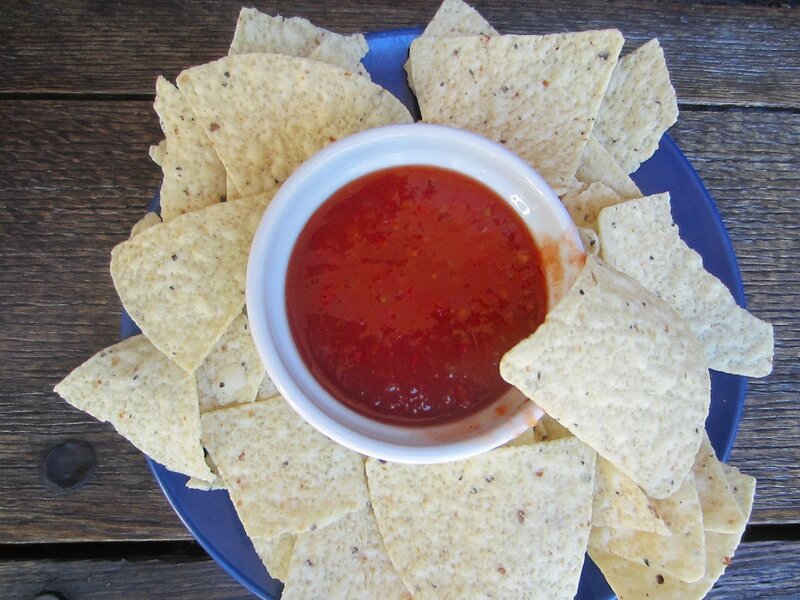 We love making these for soup or salad toppings, or even just to have around for a healthy snack! Place all ingredients in a slow cooker. Cover and cook on low for 6 hours. Remove from heat and blend soup using an immersion blender until smooth. Serve with the toppings of your choice. Enjoy! The second recipe that I am sharing today is for Vegetarian Loaded Baked Potatoes. This is another great example of a healthy version of a comfort food that will leave you feeling full and satisfied! Place potatoes on a baking sheet and pierce with a fork on all sides. Bake for 45-60 minutes, turning once, until tender when pierced with a fork or knife. Bring lentils and 2 cups water to boil in a medium pot. Reduce heat and simmer gently, uncovered, for 20 minutes. Strain any extra water. Meanwhile, heat oil in a skillet over medium heat and sauté the pepper, onion, carrot, and garlic until tender, about 5-6 minutes. Add the tomato sauce, soy sauce, honey and chili powder and simmer for 15 minutes, until sauce has thickened and reduced slightly. Add cooked lentils to tomato mixture and continue to simmer for another 5 minutes, or until mixture is warmed throughout. 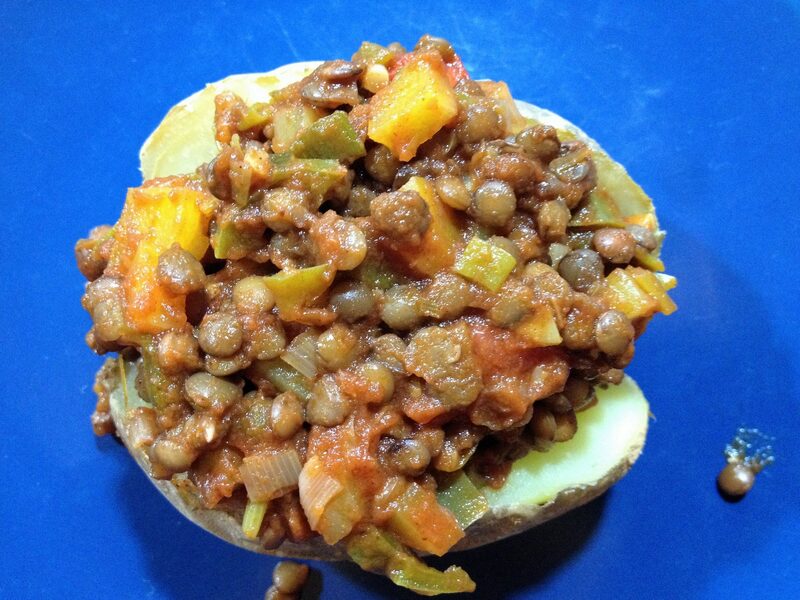 Cut a slit in each potato and top with vegetable-lentil mixture. Top with additional toppings, if desired. Enjoy! What is your favorite winter comfort food? My favorite winter comfort foods are soups and stews (including your squash soup! ), with some crackers and cheese on the side. 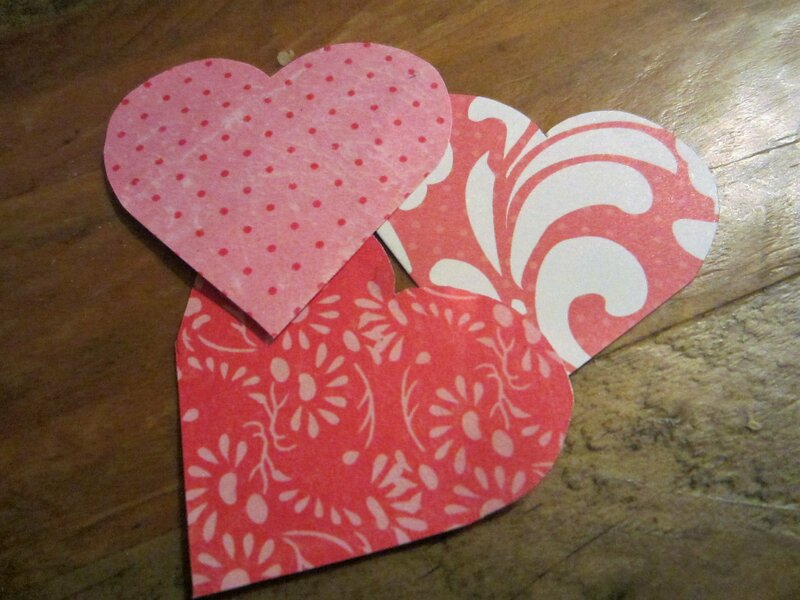 Happy Valentines Day, Maria! Thanks for all the great ideas to make the best of every day. Cannot wait for winter to be over, as well.